still attached at the bottom of the potato. ..bake for about 40 minutes at 425 F..
…and voila! 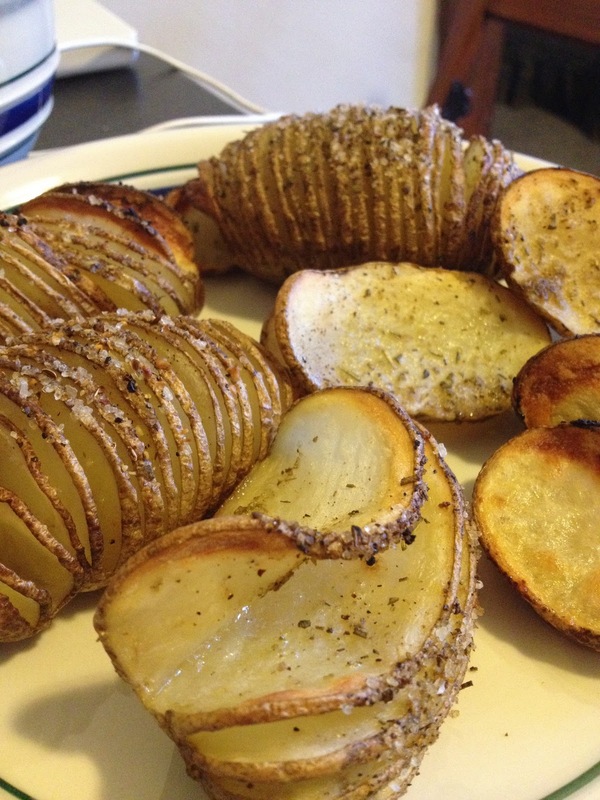 Awesome baked potato slices. OMG – I used to make these years ago. Sprinkled with Parmesan cheese after baking. Wonderful – made a nice addition to a meal! Forgot – I would lay a wooden spoon next to the potato to keep from slicing too deep! Worked great. This is Hasselback Potatoes from a famous Restaurant in Stockholm, Sweden.